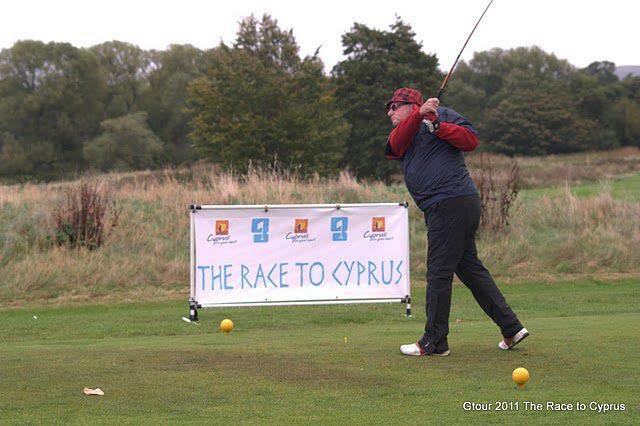 The Social Golfer is a travel and golfing journal, website, and blog written by an avid golfer and stroke victim about his recovery and tireless fundraising around the world for The Stroke Association. Here it is, in all its glory.... 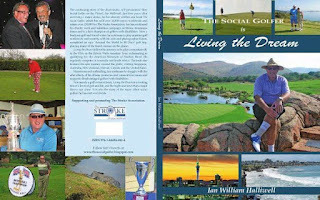 The Social Golfers second book...."Living the Dream"..... A golf and Travel book that covers my continued recovery from stroke.... featuring sections on Competitive Golf..... my efforts around the globe, some success, plenty of failure but a plethora of great memories. My epic Round the World in 80 day trip is ofcourse well featured as are my other trips to destinations not normaaly considered as Golf Hotspots but readon!!! TSG will always find some golf.... even in VENICE..... Disabilities Golf is ofcourse covered as well as a general po pourri of golfing trivia, jokes and humour always found in 19th holes everywhere. The Official Launch quite fittingly will be at THE BRITISH PAR 3 at the revamped, more difficult, splendid Cromwell Course at Nailcote Hall. Pesky RICK CRESSMAN (Mr BP3) has put more water hazards in play. 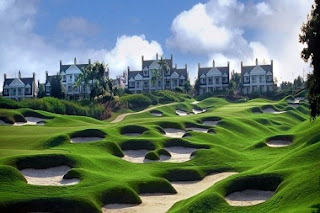 Prior to this TSG and Peg (Roger Hurcombe) head up to the home of Golf at St.Andrews for a week long festival of golf. If the boat from China ( bringing my books ) is not delayed I may have some available here. We shall see. Reunion Where I won on the Golf Channel Tour... Guuys make hay before I return. July is shaping up to be quite a busy time.. TSG PRO Mark ( the HONEY) Mouland is on tour both in Europe and the Champions Tour in USA.... i am pleased to say he his playing some great very competitive golf.... must be all my tips. LOL.... Peg is off to Holland for the Dutch Open, with Andy Gardiner ( the new Czech Open Champ) in the EDGA ( disabilities) Tour. Good luck to both guys. David Bulger has been joined by Paddy James Rearden on the Golf Channell AM Tour in Orlando. I wish them well because when i return later in the year, I intend to kick their butts. Mottram last year, can I go one better. TSG heads of to bunkerfest 3 at Belton Woods, were I did ofcourse clean up last year. Not sure if my game is aquite at same standard think I peeked at our TEAM Social Golfer victory in the Show AM last month..... but youve gotta be in it to win it. 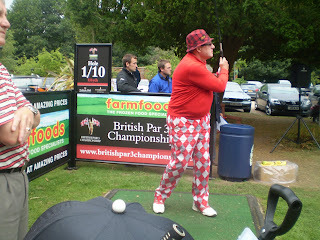 Then of to Mottram for the G Tour event I was runner up here in 2011 and I do play the course quite well, so heres hoping. Then St Andrews and the BP3. Sadly as we are house moving it appears I wont make the British Disabled Open so let Peg, Andy and Tony clean up, I hope. Then its of to Portugal end of Sept for the Obidus Classic then back to states for the Florida Open and my USA Book Launch. 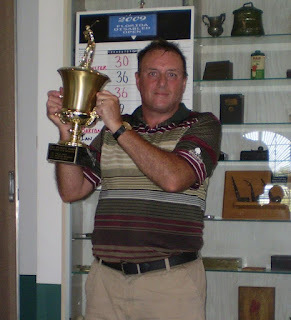 The Last time the Florida Open was at Kissimme Bay in 2009 look who won!! The brainchild of golf-lover and stroke victim Ian Halliwell, The Social Golfer started as a travel and golfing journal published to raise funds for The Stroke Association and grew to include the Social Golfer website and this blog where you can follow Ian's tireless fundraising golf trips around the world. Prior to his stroke in December 2006, aged just 48, Ian was an avid golfer and had enjoyed many golfing trips to the Costas, Tenerife, Tunisia, and South Africa. Playing off eight, he still harboured dreams of retiring and trying for his card on the Seniors Tour, but these dreams were smashed just days before Christmas when he suffered a major stroke. 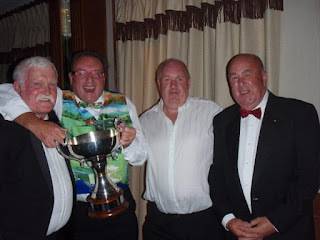 The journal takes you through Ian’s recovery, and details how he’s heeding Bernard Hunt’s advice to “become the best damned social golfer on the planet”. "I know that there are many people out there who feel beaten by stroke. Progress can be so slow and frustrating that it often seems easier to just give up. Golf helped me focus on my recovery and I’m hoping that my journal will help others find their own motivator." So far The Social Golfer has raised over £20,000 for The Stroke Association, and has just been added to Amazon and WHSmith’s online stock. The Social Golfer is also available from the socialgolfer.net and all profits are being donated to The Stroke Association.